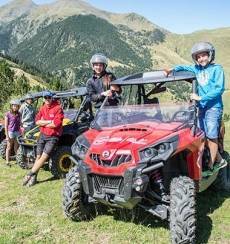 Andorra is synonymous with active tourism. Bicycling, hiking, horse riding trips, experiences in nature for all ages... Take a look around our website and plan a trip that’s as energetic as you are. THERE’S NO END TO THE GREAT OUTDOORS! 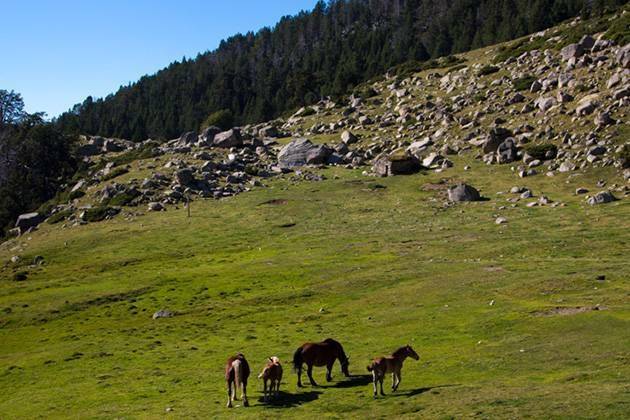 90% of Andorra's territory is made up of natural spaces and there are countless ways to enjoy them. For all ages and all levels. Check out some of our favourite ideas for this summer. 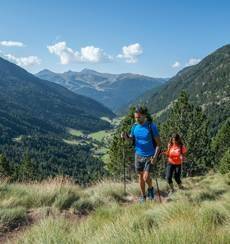 Explore the beauty of Andorra walking these amazing trails. Check out all the itineraries that you can find in Andorra’s trail guide. Discover our bicycle touring routes and mountain biking trails. Try them! ... we’ve got many more activities to round out your travel plan right here. There won’t be enough time to do everything you want to do! 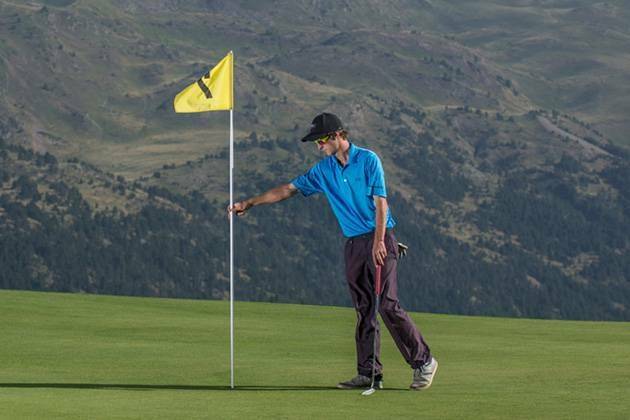 The Golf Soldeu is located in Soldeu-El Tarter sector in the parish of Canillo. Valle de Sorteny, Madriu-Perafita-Claror and Valles del Comapedrosa. These are Andorra's three Nature Parks. Find out about their attractions here. 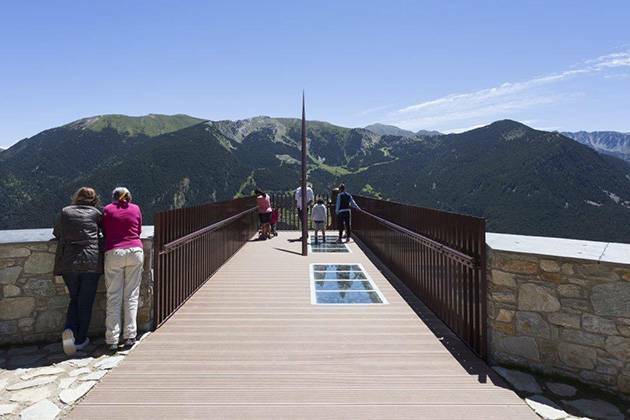 There are few places that convey Andorra's magnificence better than the Mirador Roc del Quer, in the parish of Canillo. 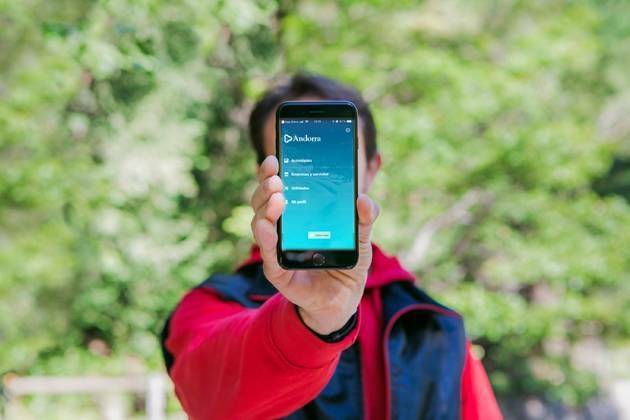 A platform where you'll feel like you can fly! 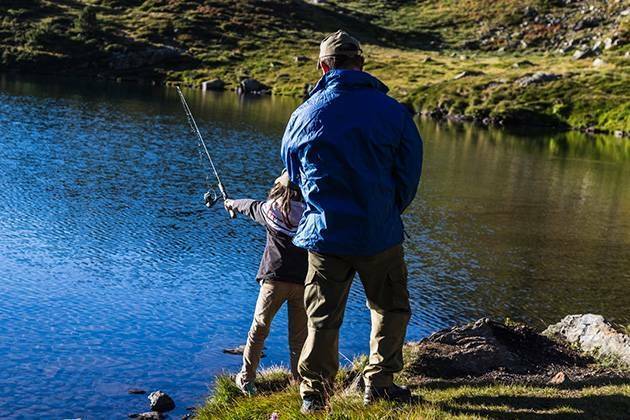 Sport fishing can be enjoyed in Andorra from mid-March to mid-November. There are a variety of rivers and lakes in the high mountains where you can fish undisturbed. 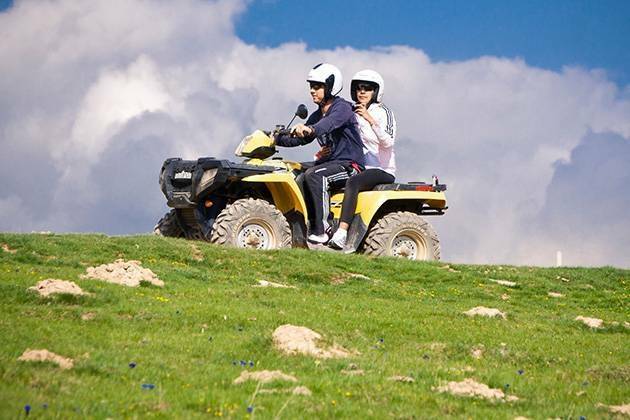 Naturlandia offers us the possibility of doing quad excursions on the marked mountain circuits, accompanied by an expert guide. 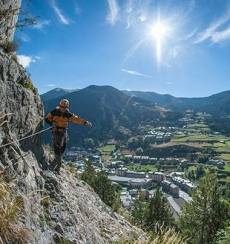 The Palau de Gel in Canillo offers a whole range of activities for all ages. Come and discover it with your family or friends and have fun! 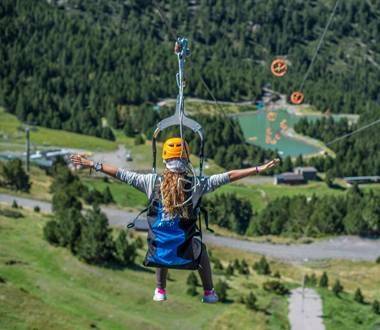 When the snow melts away and the mountains turn green, Andorra's ski resorts turn into adventure parks for all the members of the family. 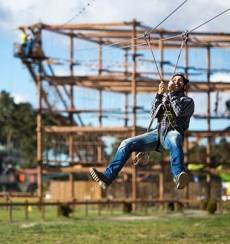 Check out all the activities you can choose from in Grandvalira, Vallnord and Naturlandia. 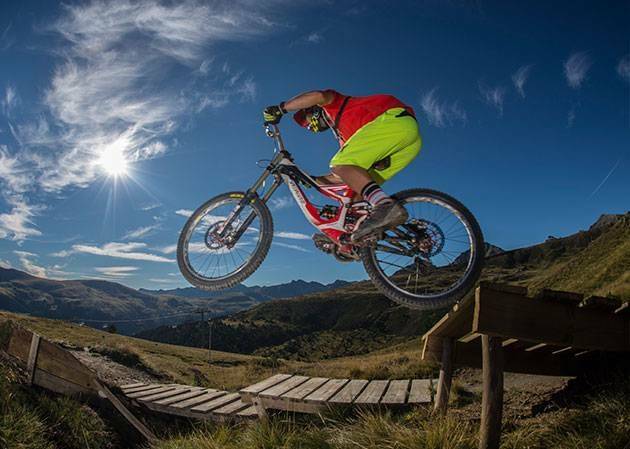 Andorra welcomes summer with a long list of options for those who like to go bike riding. 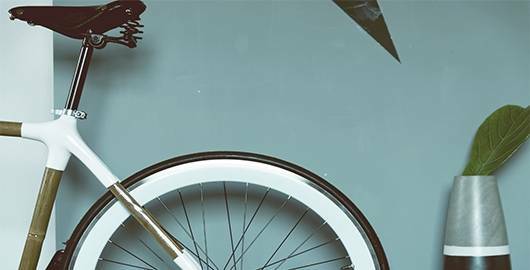 From routes along roads to MTB itineraries, and adapted routes at Bike Parks. 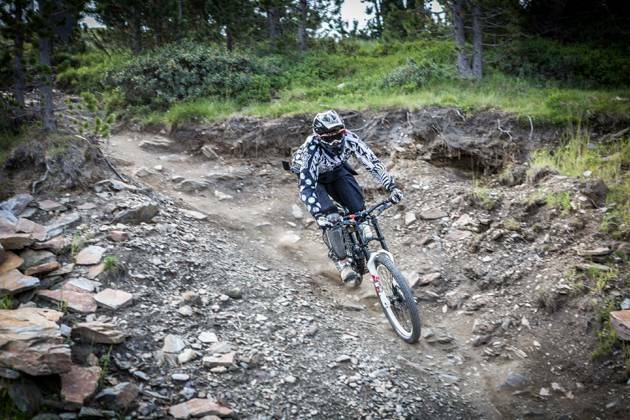 There’s so much you can do in Andorra on a bike. Explore the country on your mountain bike through narrow and steep trails. Here are the best routes. 90% of Andorra is made up of forests and green areas; the Principality has 3 nature parks that cover tens of thousands of hectares and are criss-crossed by hundreds of kilometres of paths. Are you ready? It's the time of year when hikers of all ages visit us to enjoy the biodiversity and beauty of the Pyrenees: on foot, by bicycle, on horseback or in any other way. Even though Andorra is proportionately small in comparison with other countries, we're second to none in terms of nature: 90% of our territory is comprised of forest, including three Nature Parks: The Sorteny Valley, Comapedrosa Valleys and Madriu-Perafita-Claror Nature Parks. The latter is the largest of the three. Not only does it cover more than 40,000 hectares of protected area, it was also declared a Human Heritage Site (Cultural Landscape) by the UNESCO. 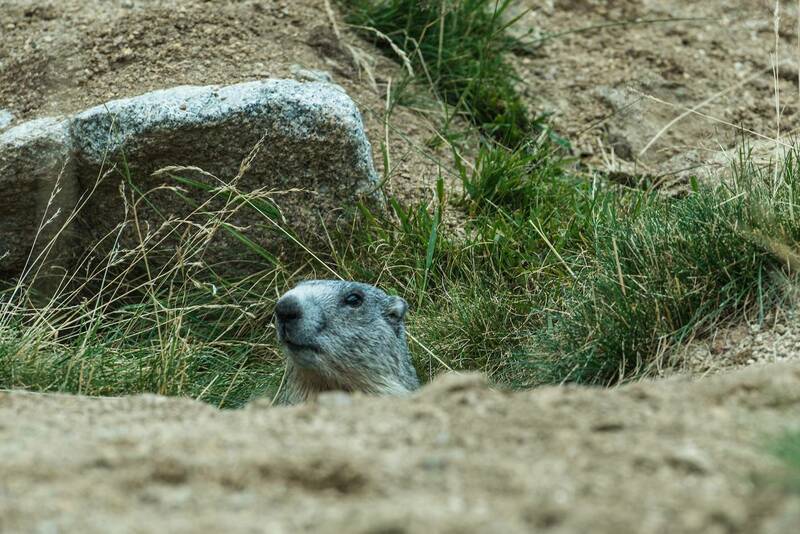 All three of our nature parks are matchless locations to discover the ecological wealth of the Pyrenees, where the relationship between humankind and nature still remains perfectly balanced and sustainable. There are incredible natural attractions both within and outside these parks. Our high-mountain lakes, for instance, are particularly breathtaking at this time of year, right after snowmelt. Often nestled in deep valleys between mountains, their crystal clear waters exude nothing but peace and purity. Tristaina, Juclà, Moreno, Engolasters, etc. The lakes in Andorra are as plentiful as they are magnificent—truly unique in all of Europe. And the Pyrenean mountains, of course, make up the backdrop of all our landscapes, with their spectacular rock walls and snowy peaks—even well into the summer. 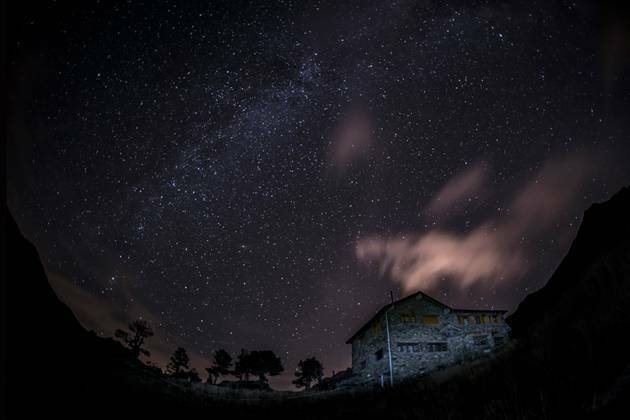 The most noteworthy peak is the Comapedrosa, often called the “ceiling of Andorra”, which stands at 2,942 metres high, but there are many other peaks that are more than 2,700 metres high, such as the Casamanya, the Montmalús or the Pic del Sirvent. Although reaching the top is a feat only attainable by expert mountaineers, less experienced visitors can also enjoy the spectacular views from all around the mountainsides. In Andorra, nature isn't just a backdrop that makes one's holiday pictures look better. The Principality's landscapes are as vibrant as they are accessible (for all kinds of visitors), as they offer all kinds of different options, from hiking trails, which are listed on our website, to cycling itineraries—road routes and mountain biking trails alike. Horseback rides are undoubtedly a particularly charming option, as well as being environmentally friendly. And for those who prefer a more comfortable and effort-free approach, Gicafer tours and Tourist Bus routes are also available. Enjoy the allure of the Pyrenees in Andorra this summer! A thrilling range of possibilities within your reach!